This July, we have launched a new feature called Fourerr 1-Click to help make buying multiple micro jobs faster in just a single click. We know that you have more questions about taking advantage of this feature and we will answer them all for you in this post. 1. What is Fourerr 1-Click? This is a new feature/service that’s Totally FREE, helping you buy micro jobs (more than one order) faster, making you avoid going through PayPal’s checkout process over and over. View HERE to learn how to set up and enable Fourerr 1-Click in your account. You may use your Personal, Premier or Business account in PayPal for you to be eligible to use this feature. Please take note of PayPal’s spending limit for personal accounts. This page will inform you on the details of your payment agreement with Fourerr. By clicking on “Approve” – you authorize Fourerr to charge future payments for multiple orders you make to your PayPal account. 4. Will I get charged an amount if I click on the Approve button? NO. You will only be charged on your next order when you click on the Fourrer-1 Click button. 5. Is there a monthly fee that I have to pay? NO. There are no monthly fees. 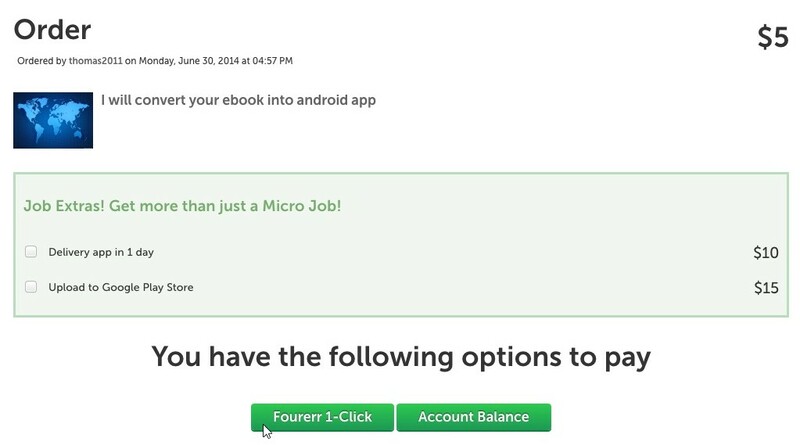 You only pay when you order micro jobs at Fourerr. 6. What is the Start Date and End Date? The Start Date is the day when you approve Fourerr-1 Click on your Paypal account. This agreement runs for a year. The End Date is the last day until this service is active. 7. Can I renew the feature after one year is up? 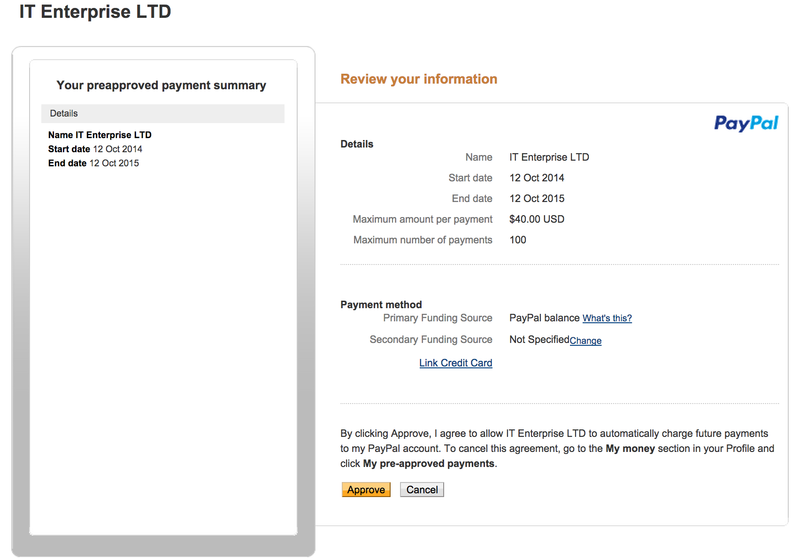 8. Who is IT Enterprise LTD? Fourerr is a product of IT Enterprise LTD, a registered company in the UK since year 2001. 9. What is the Maximum Amount per Payment? This means that you can order micro jobs that does not exceed $40 USD. For example, you have made an order for 9 micro jobs that cost $4 USD each, your total is now $36 USD. You can pay using Fourerr 1-Click since the amount is still within the allowable limit (less than $40). 10. What is the Maximum Number of Payments? This means that you can make ONLY up to 100 payments using Fourerr 1-click within a year covered from the Start Date to the End Date of your agreement. 11. Can I make more than one payment in a day? Unlimited. You can pay as many as you want so long as it is within the maximum number of payments in a year . 12. What is Payment Method? This notifies PayPal on where to take your payment from. 13. What is Primary Funding Source? 14. What is Secondary Funding Source? In case you don’t have sufficient amount in your primary funding source, the payment will be taken from a secondary fund source. You may also link a new credit card where you want your payment to be taken from. 15. Do I need to have money in my Paypal account? YES. You need to have enough amount to cover the total amount of your order. 16. Is my transaction secured? PayPal ensures you that your payment benefits from their industry-leading fraud protection and powerful 128-bit SSL encryption. 17. Do you accept currencies other than $USD? Sorry, we don’t. However, Paypal can automatically convert our payment at a competitive rate to a currency of your choice. 18. I have set up everything without issues. How do I buy using Fourerr 1-Click? Congrats! Just click on that green button that reads “Fourerr 1-Click” when you order. 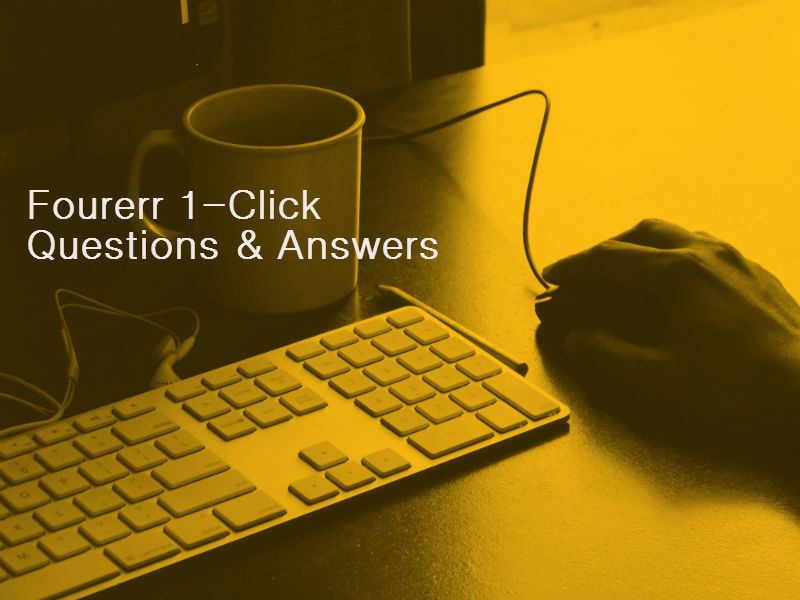 We hope that we have answered all of your questions about Fourerr 1-Click. If you’ve got more, please add them in the comments below, or simply ask for HELP and we are more than willing to assist you.